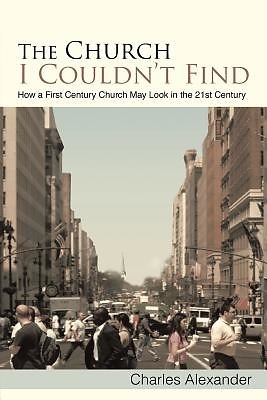 After a year of searching, Charles and Verna could not find a church primarily operating on basic first-century principles. Most churches are not traditional enough After thirty-five years as a pastor, my denomination had steered me in an ineffective and unbiblical direction. We had become chaplains to the culture, rather prophets within it. Few churches seem to have a process and possibly the knowledge in how to make effective disciples. Even two basics of Christian discipleship and experience seem to be ignored. Development of five apostolic principles is encouraged. They really work The first-century church was not perfect, but remarkably diverse in maintaining apostolic accountability and encouragement. How may churches develop autonomy, unity and cooperation in close geographical areas? First-century worship is difficult to find. A service is produced here that, hopefully, includes all essential principles. Dependent on the process of the group event, the group-based church proves to be the best way to achieve apostolic goals and to provide an easy way to minister in unity with other churches. Many personal experiences prove the point. Practical and effective development, in the author's experience, has resulted in the building of three new churches and a wide ministry of teaching.